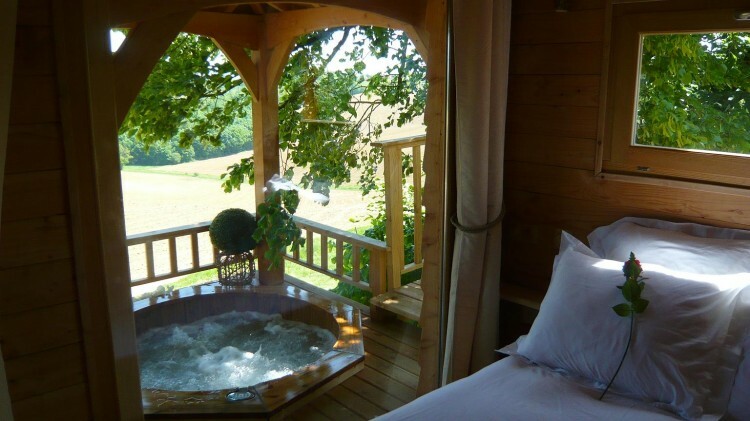 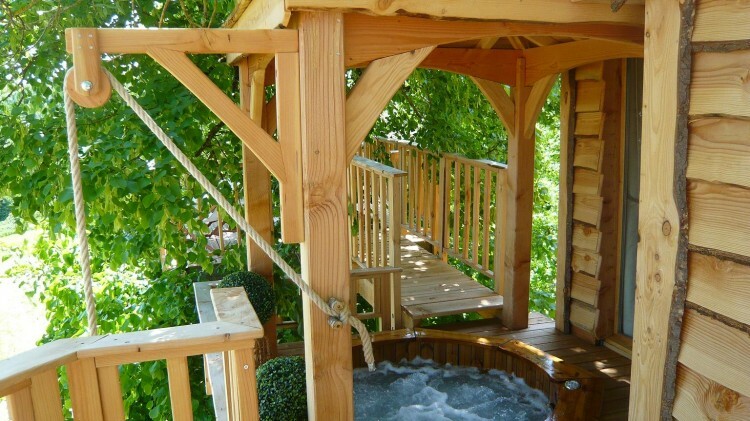 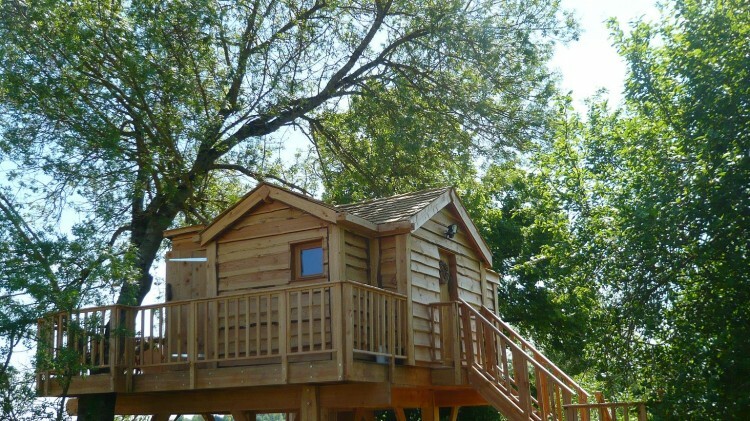 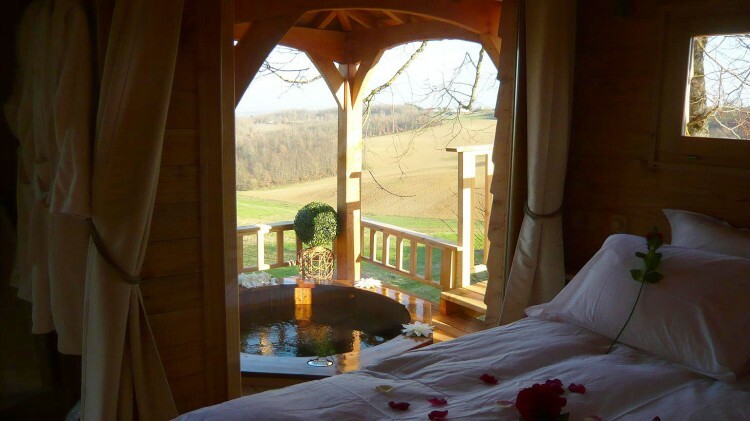 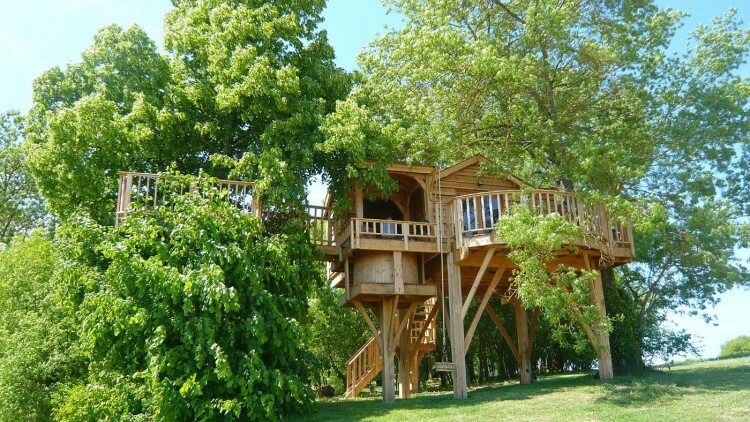 Home » House » Romantic Treehouse With Hot Tub 12 Feet Off the Ground! 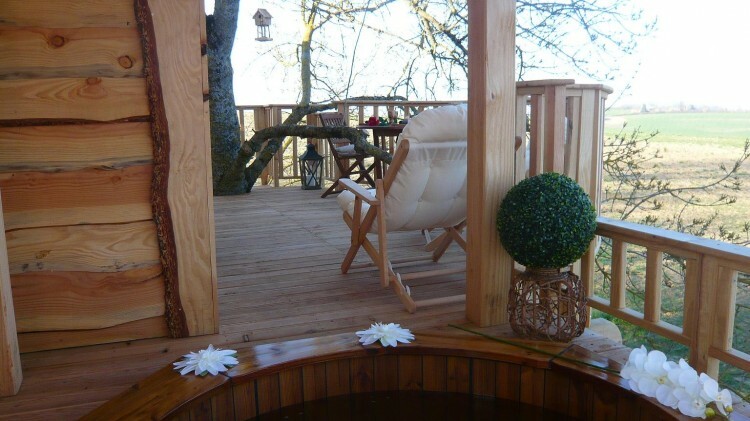 The, perched 12 feet of the ground, offers a large covered deck with a natural cedar hot tub, a terrace with panoramic views over the countryside a 3/4 bathroom! 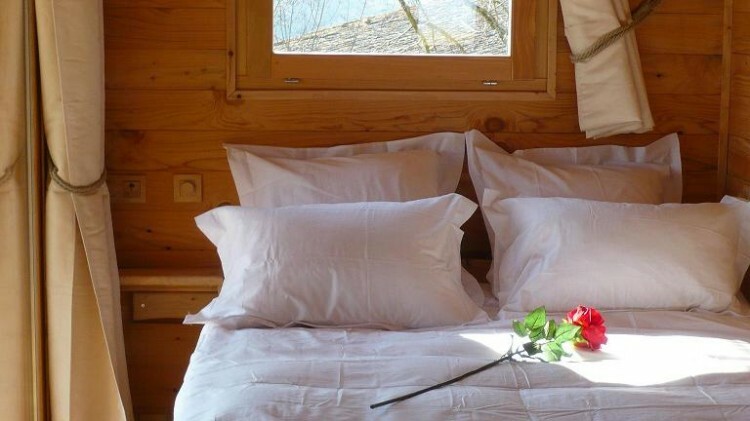 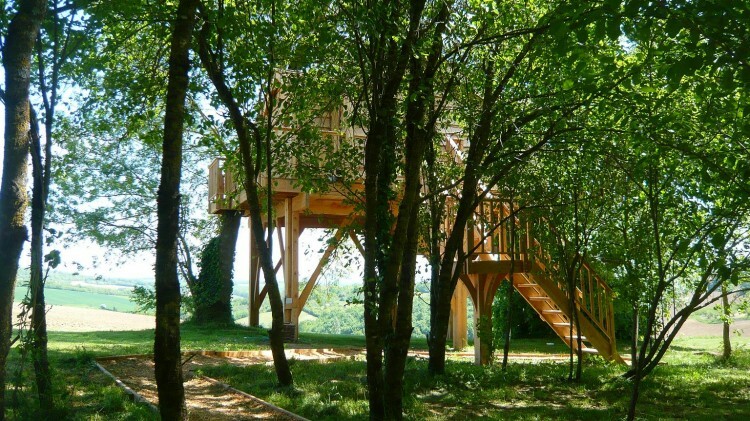 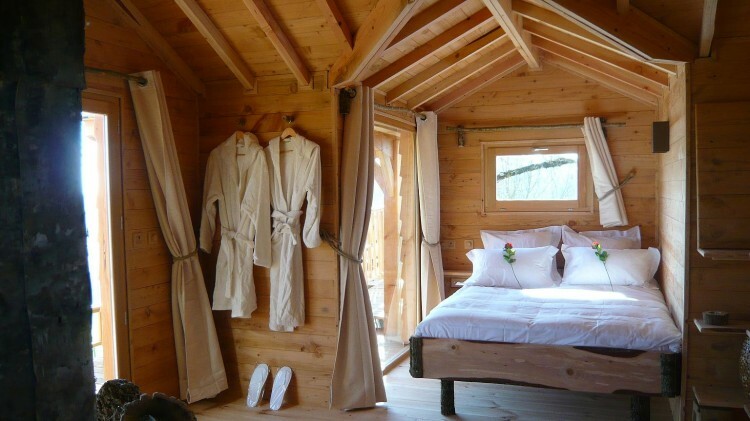 This treehouse can be rented for 145€/165€ (Monday-Thursday/Friday-Sunday) per night for two people, breakfast included. 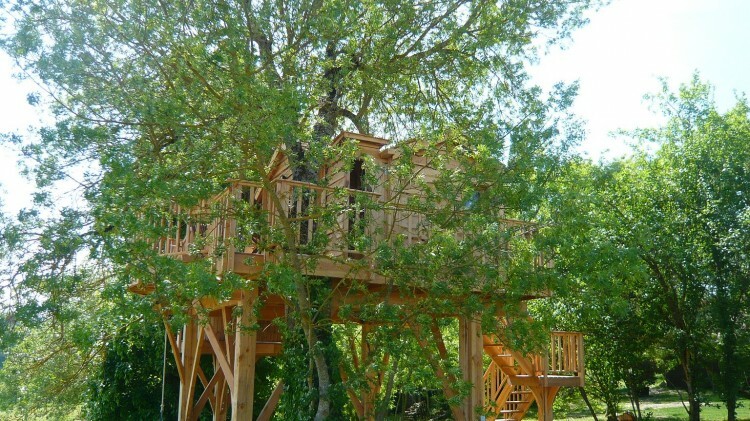 Not exactly cheap, but definitely a bargain for such a lovely treehouse!